Mediation is an informal proceeding in which the parties on either side of a legal dispute meet to try to reach a settlement agreement. A neutral third party - typically an experienced attorney or retired judge - oversees the proceeding and acts as a go-between in order to facilitate settlement. Like other types of Alternative Dispute Resolution (ADR), mediation is designed to reduce the burden on the court system and to save the parties the time and expense of going to trial. Attorney John B. Kenison, Jr. is a court-approved mediation lawyer. He conducts the sessions from his Manchester, NH, office, or elsewhere at the convenience of the parties. His unbiased, ethical approach to ADR over the years has earned the respect of plaintiff’s and defense attorneys, their clients, and others in the legal community. Like other types of Alternative Dispute Resolution (ADR), mediation is designed to reduce the burden on the court system and to save the parties the time and expense of going to trial. Mediation is a legal intervention in a dispute that is intended to solve the matter at hand without bias. Only the most respected, ethical, and proven lawyers are selected for mediation. The parties confirm that the mediator is an appropriate third-party neutral given the subject matter of the case. Mr. Kenison is an experienced personal injury and wrongful death lawyer. This background makes him an excellent choice to mediate claims in the same field. The parties agree upon a time, date, and place convenient to all. Mediations are held at a neutral location to avoid giving either side a “home turf” advantage. Prior to the date agreed upon, the attorneys for each side may submit memorandums to the mediator outlining the facts of the case and the specific points of dispute. On the day of the mediation, the session begins as a joint conference with both parties, their attorneys, and the mediator present. After the mediator explains the ground rules, each side has an opportunity to make an opening statement setting forth its side of the case. The mediator may ask questions of both sides to further narrow down the issues to be negotiated. The parties then move into separate rooms. During this “caucus” stage, the mediator alternates between rooms, discussing the case with each party in confidence and conveying offers and counteroffers. Once the parties reach an agreement, the settlement terms are put in writing and signed by the parties, unless they need additional time to review the agreement or hash out minor details. If the parties do not reach an agreement, they are free to proceed with litigation. All aspects of the mediation session remain confidential and inadmissible in a future trial. Even when the parties are unable to reach an agreement at the conclusion of mediation, they come away with a greater understanding of the other side’s viewpoint and what will be required to settle the case. 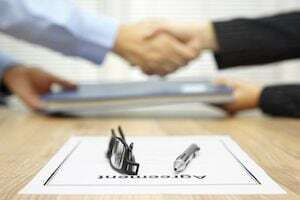 Business entities often agree to mediation in advance by including that provision in their contracts. Most consumer agreements contain a similar provision requiring ADR in the event of a dispute. By contrast, the parties in a personal injury case rarely have a preexisting contractual relationship. They may still be required to participate in ADR prior to trial, however, if a law or court rule requires it. New Hampshire has such a requirement. In order to litigate a civil case in Superior Court, parties must comply with Rule 32. The rule makes ADR mandatory and directs the court to maintain a roster of qualified attorneys to serve as the neutral party in the proceedings. Mr. Kenison is an approved neutral for the Hillsborough, Merrimack, Rockingham, and Strafford Superior Courts. The best way to learn whether Mr. Kenison can help settle your case is to request more information about his mediation services. Be sure to ask about his track record of success over the course of his career as a mediator.